Two new Dura-Aces' are coming our way from the good people at Shimano, news and images courtesy of James Huang at Cycling News. 1. 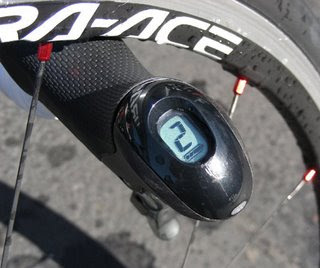 Dura-Ace 7900 (prototype below), all mechanical actuation, 180g lighter, more robust shifting with increased cable and shorter shift lever throw (merely nudging the lever about 2mm or so will initiate a gear shift). 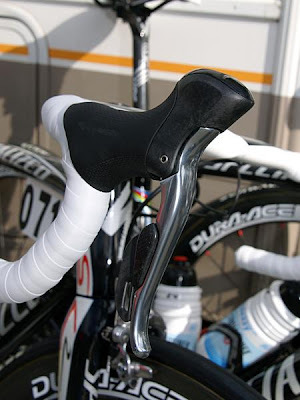 Top of brake hoods feature a much flatter section for comfort. The groupset's chain will have a quick connect link, hollow pins and milled out side plates. Cassettes will be available with wider gear selection like a granny 11-28T. Nice. 2. Dura-Ace Di2, electronic shifting,100 grams lighter than the current group even with a battery pack,optional remote shift buttons for time trial and triathlons, a 'crash' position that helps shield the rear derailleur from a fall, and an auto-trimming front derailleur. Why electronic you may ask? Will it have any advantages or will it unnecessarily complicate a good design? I'll leave a post from Bicycle Design for you to read and challenge views. I do like the idea of two groupsets. Those who like electronic can go with that, and those who like their system the way it is can have that as well. There's a nice video of the electronic shifters over at the Cycle To blog which features an input from a Skill Shimano racer. Check it out here. For more textual technical information on whats served in the 2009 electronic package, check out this discussion at Slow Twitch Forums. 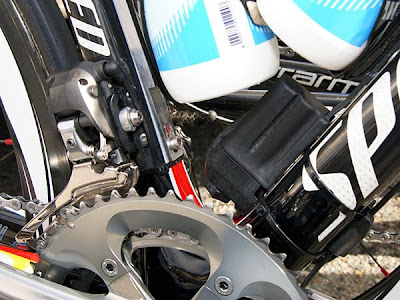 Is this version of electronic shifting yet another answer to a question nobody is asking? I was living in Germany when the Mavic systems (Zap and Mektronic, I think) came and went, and I think Campagnolo has been fooling around with one for years as well. I suspect the additional cost is pretty high for the benefits. My current Dura-Ace shifts very nicely (I really can't imagine how they can make this shift more lightly), but then so do my old Shimano 105 and Campagnolo Athena groups. 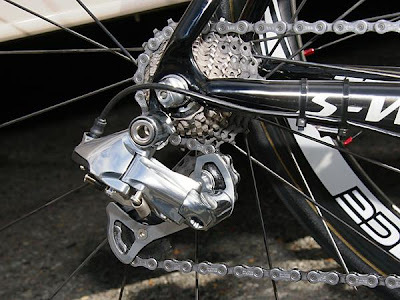 I sound like a retro-grouch but I think the last great advances in cycling were clipless pedals and indexed shifting.